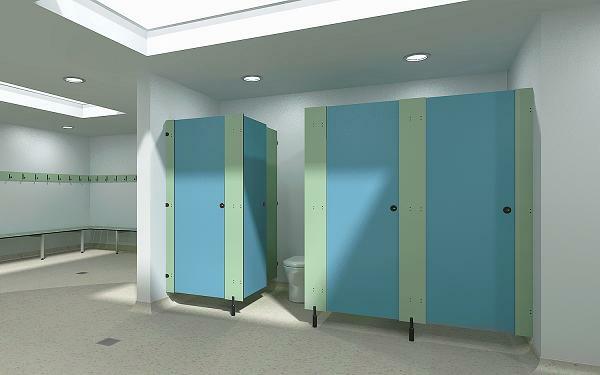 Washroom and Shower Cubicles that are 100% waterproof and ideal for high traffic and anti vandal. Cubicle dividing panels, pilasters and doors are 12mm solid grade compact laminate (SGL). All SGL panel edges are machined to feature a polished black radiused edge. 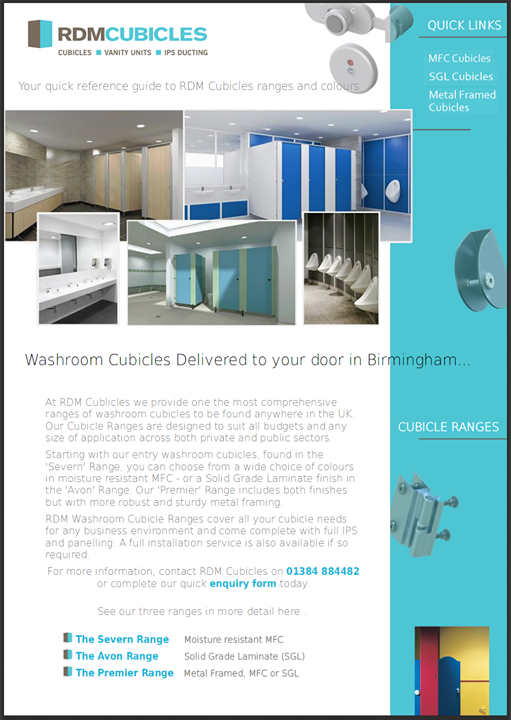 It is the superior choice for shower and toilet cubicles in all washrooms and is enhanced by high quality fittings, available in charcoal powder coated aluminium as standard. A wide range of over 40 colours, please contact us for laminate samples.